1. A noodle bowl and chopsticks set to make their ramen dreams come true. 2. An acacia mortar and pestle to make guacamole, grind spices, crush herbs, or whip up pesto. Get it from Crate and Barrel for $29.95. 3. A set of infused olive oils to give their cooking a flavor boost. 4. 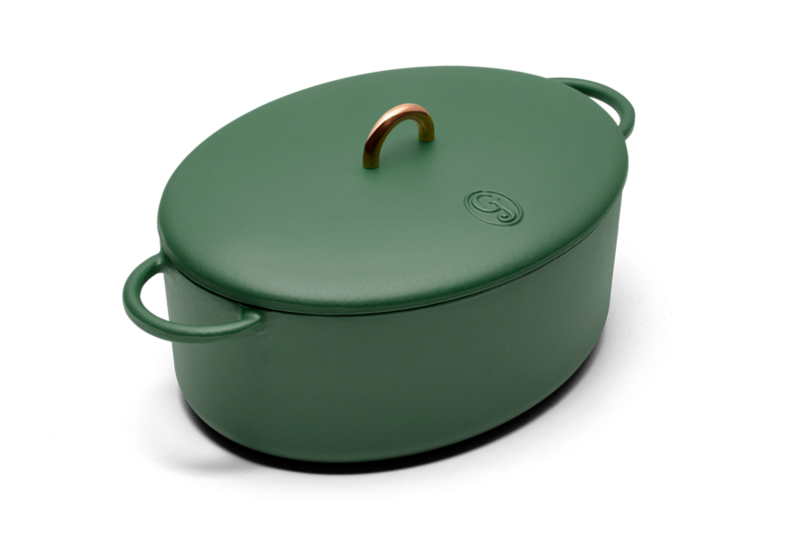 A stylish, cast-ion dutch oven to get them excited about cooking at home. Get it from Great Jones for $145. 5. A pair of food-inspired socks to keep them cozy all winter. Get them from Happy Socks for $12. 6. A Himalayan salt block to upgrade their grilling game. Get it from UncommonGoods for $29.99. 7. A copy of Season, which is full of creative and super flavorful recipes. Get it on Amazon for $22.48, Barnes & Noble for $32.41, or from a local bookseller through Indiebound. 8. A Murray’s cheese of the month subscription filled with delicious finds from France, Italy, and more. Get it from Murray’s Cheese from $75/month. 9. A variety of spicy Gochujang sauces to heat things up a notch in the kitchen. Get a set of four from Mother in Law’s for $35. 10. A set of teas from around the world so they can taste the flavors of Sri Lanka, India, China, and beyond without leaving their living room. Get it from UncommonGoods from $55. 11. A subscription to SQIRL’s bi-monthly jam club that will make every breakfast taste infinitely better. Get a four-month subscription for $60, a six-month subscription for $90, or a year-long subscription for $180 from SQIRL. 12. A chic checkered apron to bring out their inner chef. Get it from Williams Sonoma for $22.99. 13. A Sriracha to-go bottle keychain so no meal will ever be flavorless. 14. A cute food-inspired poster to decorate their kitchen walls. Get it from lucileskitchen on Etsy for $39. 15. A Goldbelly box that will transport them to their favorite restaurant in their favorite city — no matter where they are. Get it from Goldbelly (prices vary). 16. A set of salts from around the world like black sea salt from Cyprus and Spanish saffron salt. 17. A subscription to a worldwide treats box, loaded with creative snacks from all over the globe. Get it at Cratejoy for $22/month. 18. 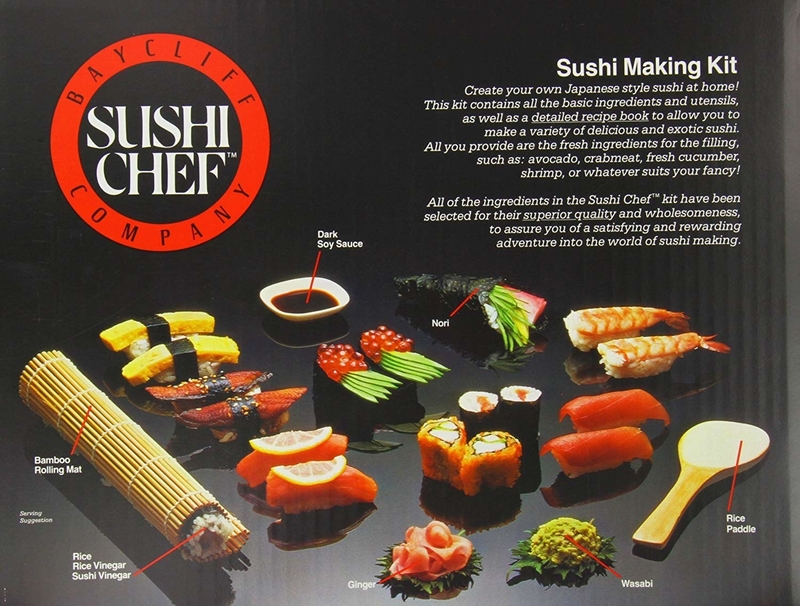 A complete sushi making kit to turn them into the next Jiro. Get it on Amazon for $42.75. 19. 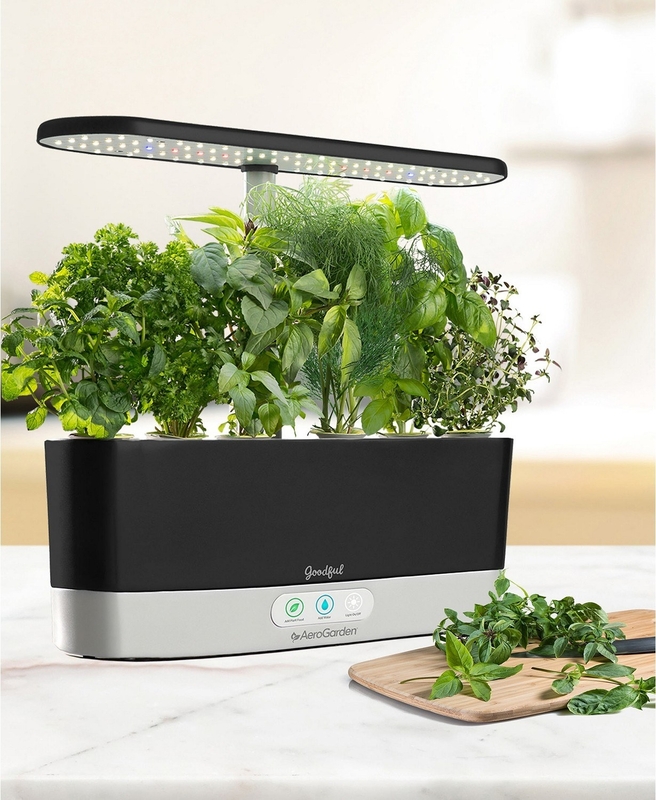 A smart garden so they can grow their favorite herbs right in the kitchen. Get it from BuzzFeed’s Goodful line, exclusively at Macy’s for $129.99. 20. A membership to Wine Awesomeness so they can try new wines from all around the globe and learn food pairing tips. Get three bottles of wine from Wine Awesomeness for $39/month. 21. A copy of Salt, Fat, Acid, Heat to teach them the fundamental elements of amazing cooking. Get it on Amazon for $15.90, Barnes & Noble for $21.27, or from a local bookseller through Indiebound. For more ideas, check out the ultimate Tasty gift guide.